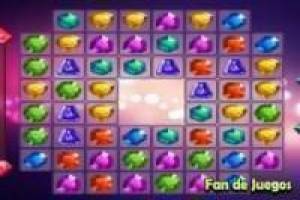 Again we bring one of the most successful games, a classic Bejeweled in which you will have to join three or more gems of the same color to make them disappear and take a lot of points to your marker. You will have to be very attentive and be quick so that you do not run out of time or run out of movement. Notice that when you blow up a group of gems, the back panel changes color. You have to return to exploit at least one gem in each of the panels to be able to overcome the level and continue with the following phases. If you join more than three gems you will get additional help such as bombs, dynamites, etc. 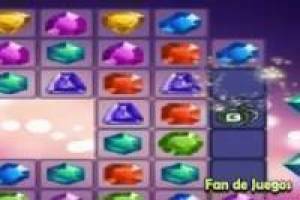 Do not wait any longer to prove your skill in Bejeweled games with diamonds. 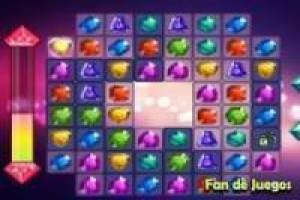 Enjoy the game Bejeweled: Diamonds, it's free, it's one of our bejeweled games we've selected.